Adding Units to the Praetorian XXIV - Glory Boys and Hotdogs! 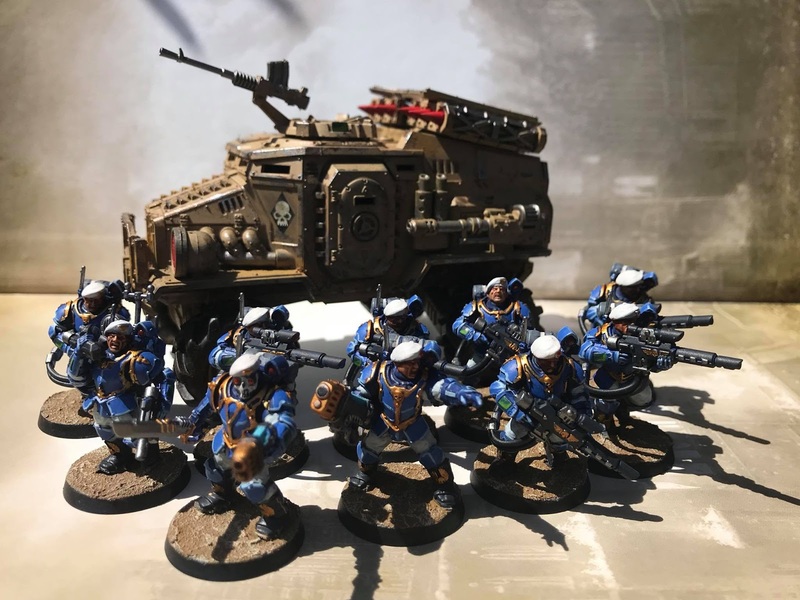 Troops choice - Tempestus Scions. For my background, the Scions are seen as 'Glory Boys', they're not from Praetoria, don't follow the same code as the XXIV and always seem to only be there when the pict recorders are running...! To differentiate them from the XXIV, I decided to paint them blue, with white accents. This was easy enough given the armour they wear, and the head choices - for these, I went with the berets. To make them a mobile choice, I've added a Taurox Prime - chosen as it has a handy missile launcher on the back! It's a little more pricey, but I hope it will work as a good firebase. The 'standard' Taurox has track units rather than wheels, something I've never liked about the design, so I swapped them out for some large wheels I had knocking about. When claiming support = equals abuse, Spikey Bits Crosses The Line. 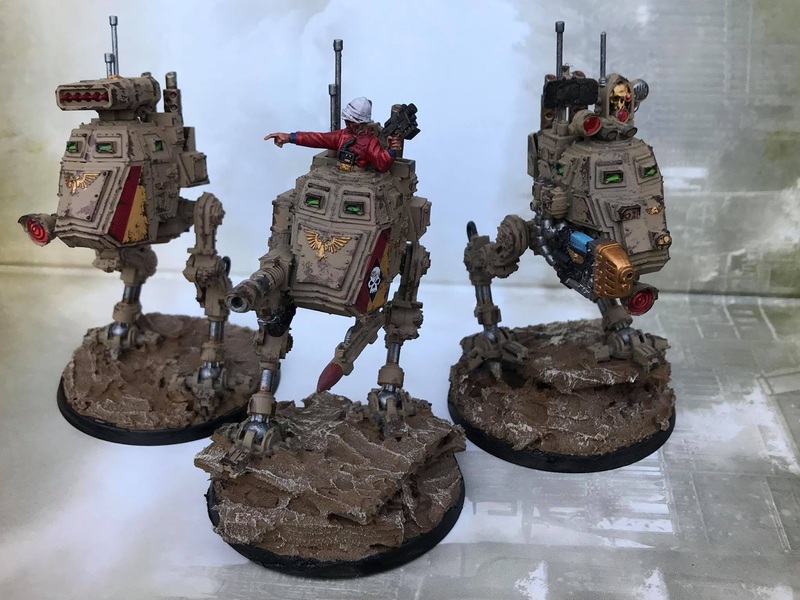 Project Necrons - A Milestone!